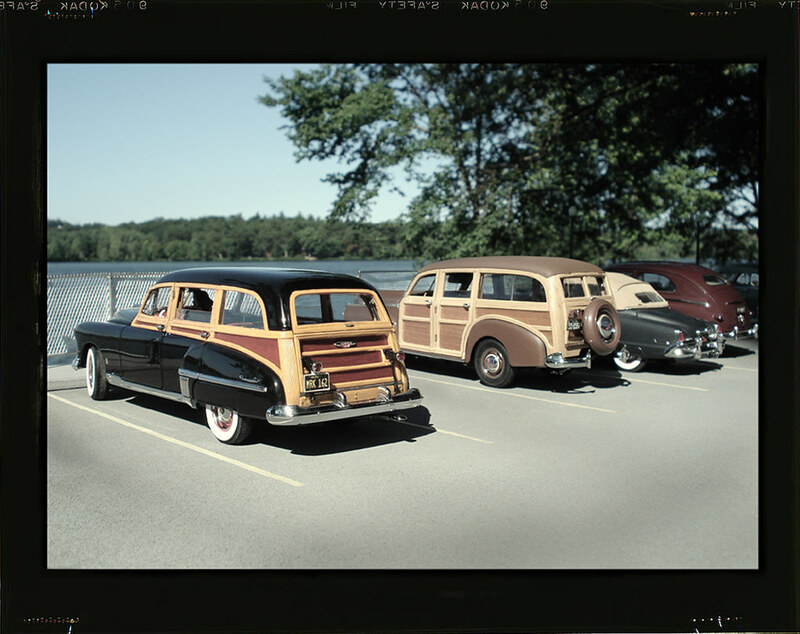 filled with images echoing warm memories of mid-twentieth century America. 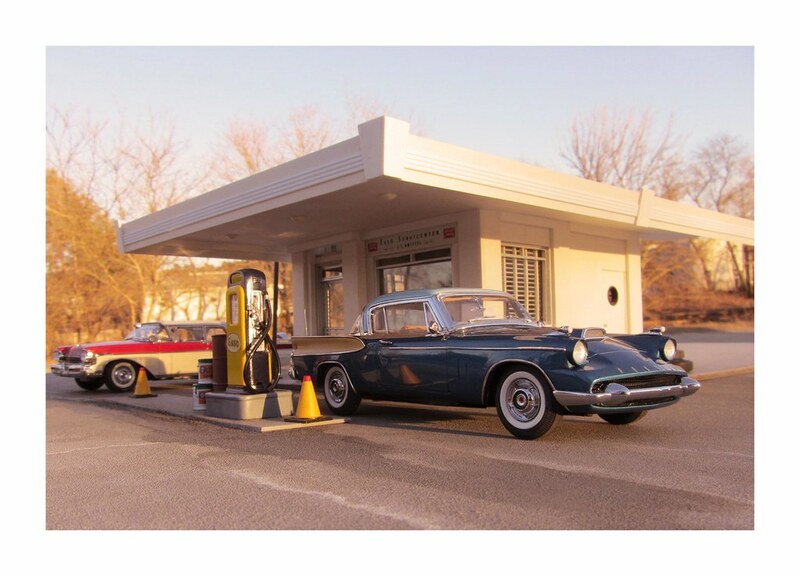 Many who view his photos of vintage cars and familiar buildings are often hit with nostalgia. That feeling, however, quickly leads to bewilderment upon learning the truth: Michael’s pictures aren’t real! 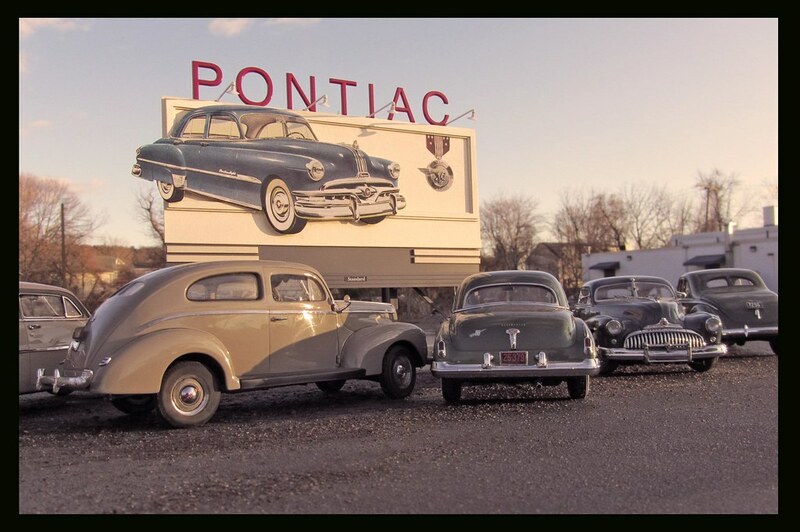 Motivated by a fascination with the mid-twentieth century era and a desire to catalog the past, Michael set out to build and photograph fictional, miniaturized scenes from the 1950s. 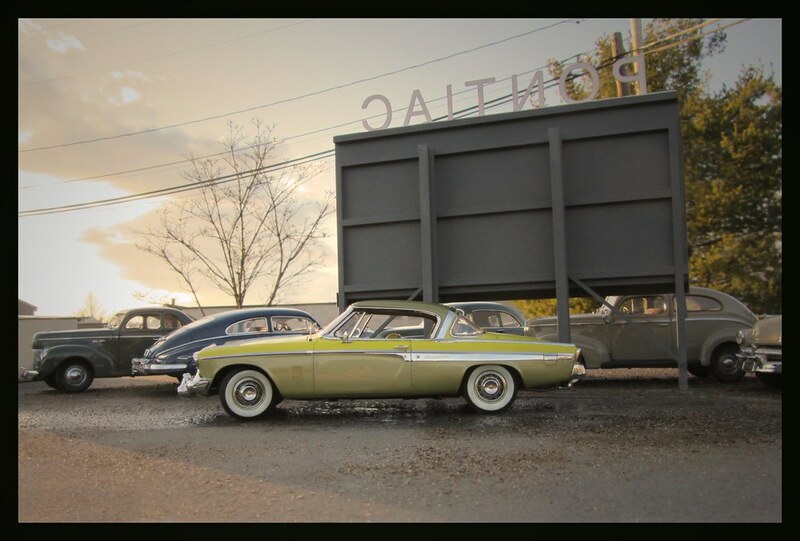 As a kid, Michael was an avid model car collector. 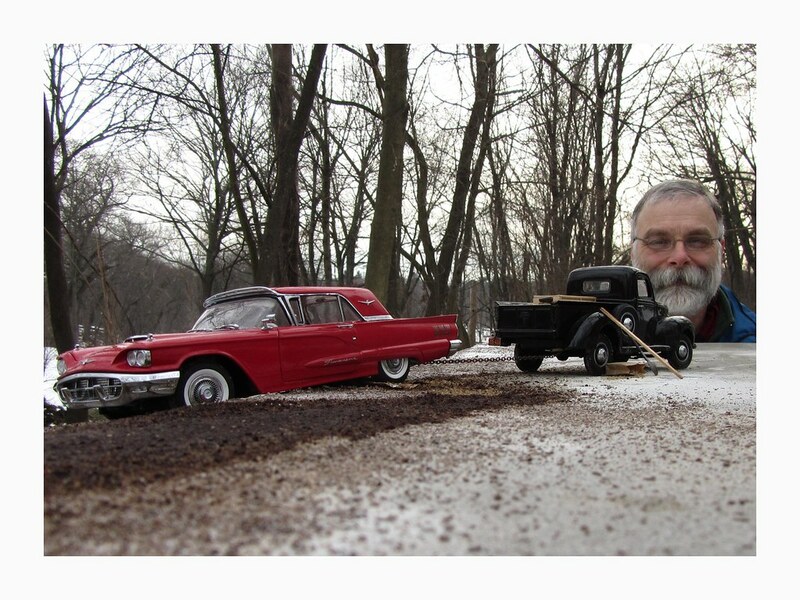 He’s started out building cheap model cars and later advanced to diecasts and truck models. 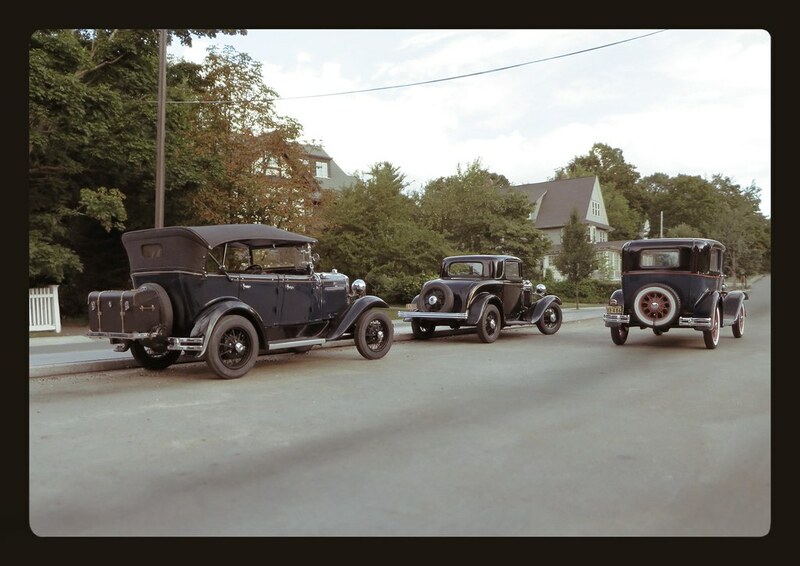 Over time, he became aware of how cars changed; this evolution fascinated him and piqued his interest even further. 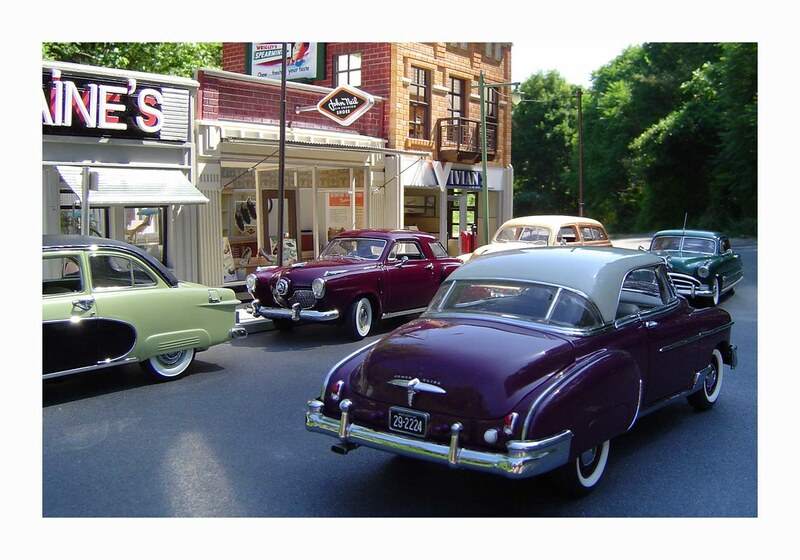 Today, Michael’s model car collection consists of over 300 cars — most of them prominently displayed in Elgin Park, the fictitious town he created for his series. 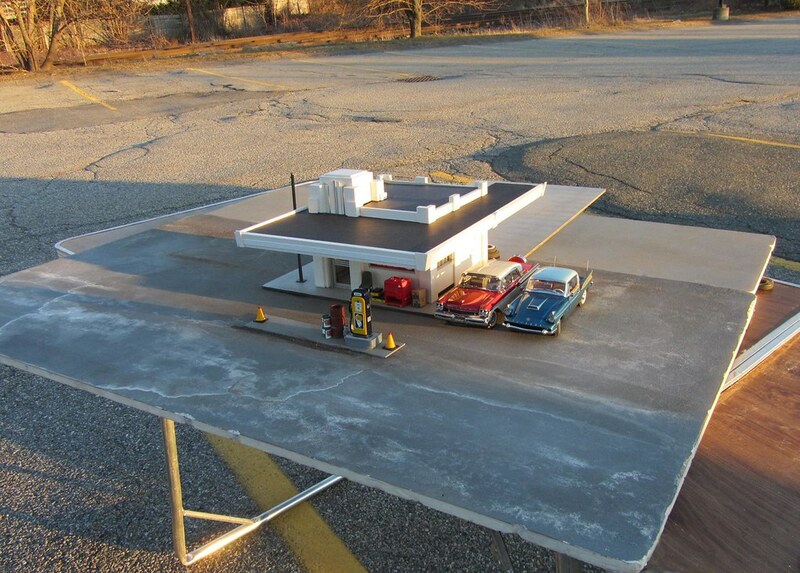 The town consists of a dozen or so scale model buildings, which Michael mixes and matches to create many different sets. 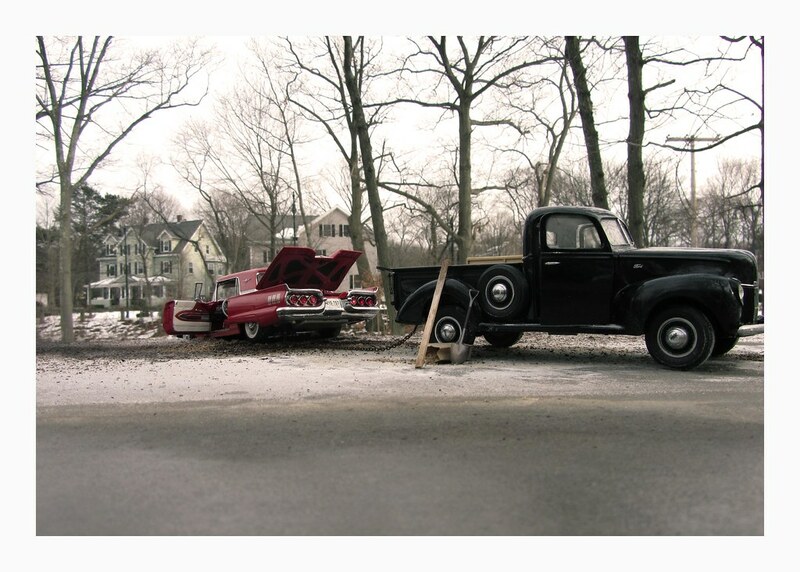 He carefully inserts his model cars into specific scenes and photographs them against outdoor backdrops in and around his hometown of Winchester, Massachusetts. Elgin Park has everything: a train station, a supermarket, even a movie theater. One thing, however, it does not have are people — an intentional move on Michael’s part. And viewers have gotten involved — millions in fact! They’ve made Elgin Park into a tourist destination, attracting over 20 million views, all via cyberspace, since January 2010. A number, even today, Michael still can’t believe. The reactions have also been overwhelming. Many of them citing nostalgic memories of “coming home” and “good times.” Michael received touching messages from viewers saying they started crying while looking at his photos — all of them happy tears. 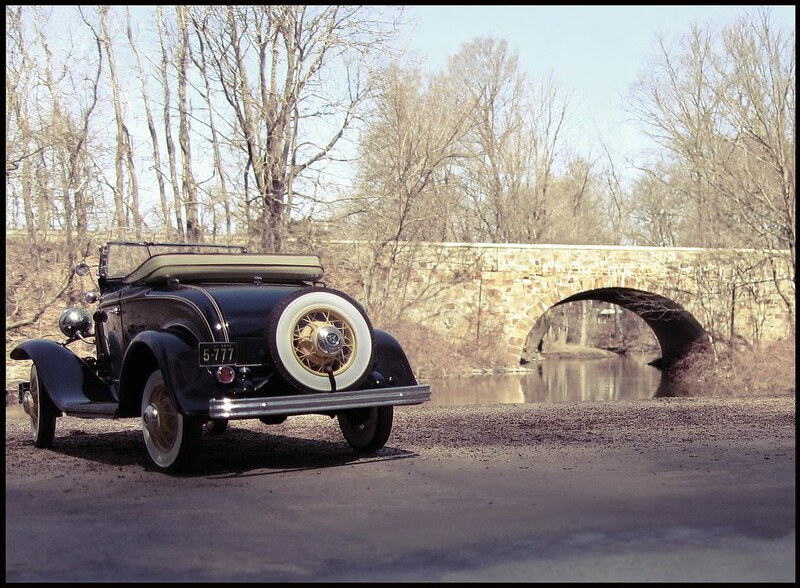 Visit Michael’s photostream to see more of his photography. Want to watch more video episodes? Check out how a photographer aims to trick the eye his ‘Strange Worlds’ photography.